In late February and early March, we drill new holes in the maple trees and tap the spouts into the holes. Snowshoes help us walk through the deep snow. 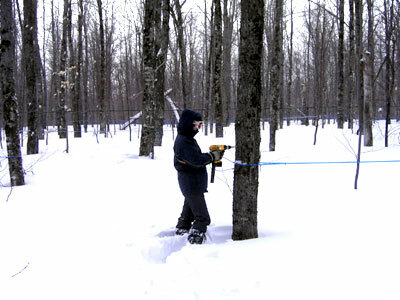 Wwoofers from many countries help with the sugaring, keeping the family feeling on the farm. Abraham prepares firewood for the fire. 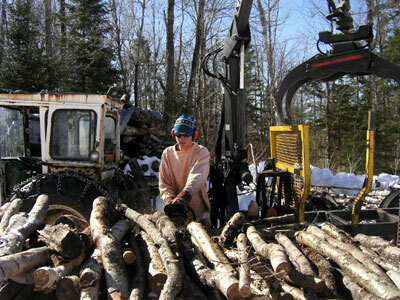 He stacks the wood in 8 foot lengths, then cuts it in half and loads it on the wagon to pull into the cabin. 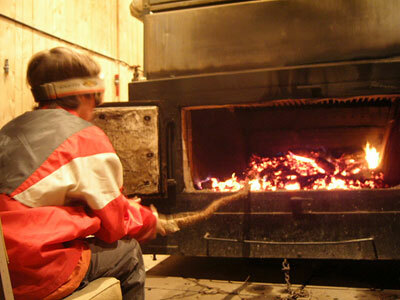 Elijah enjoys the warmth of the coals in the six foot firebox at the end of the day. 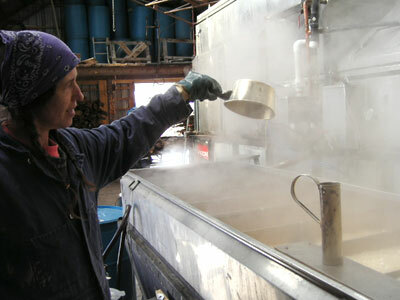 I am checking the syrup in the oil-fired finishing pan. When the syrup drips off the pan in sheets it is nearly ready. Seven degrees above water boiling and 66 degrees on the Brix scale (specific gravity) are the defining marks for maple syrup.